Have you been thinking about giving your homes curb appeal a makeover? Looking to add something eye-catching to your landscape that will make your neighbors green with envy? If so, consider the installation of an elegant granite water fountain. A granite fountain will truly grace your lawn. Picture yourself relaxing in your own backyard on a breezy summer day with the feather-light sound of rippling water in the background. Sounds heavenly, doesn’t it? That is because the sound of running water is known to reduce stress and cause relaxation. Installing a water fountain is a great way to turn your lawn into a serene garden. A granite fountain is the perfect way to bring something special to your home and exponentially boost its curb appeal. Who doesn’t enjoy the beauty and grace of a large fountain? They also provide a key focal point around which you can design the rest of your home’s landscaping. Nothing makes a statement of luxury like a grand granite fountain. 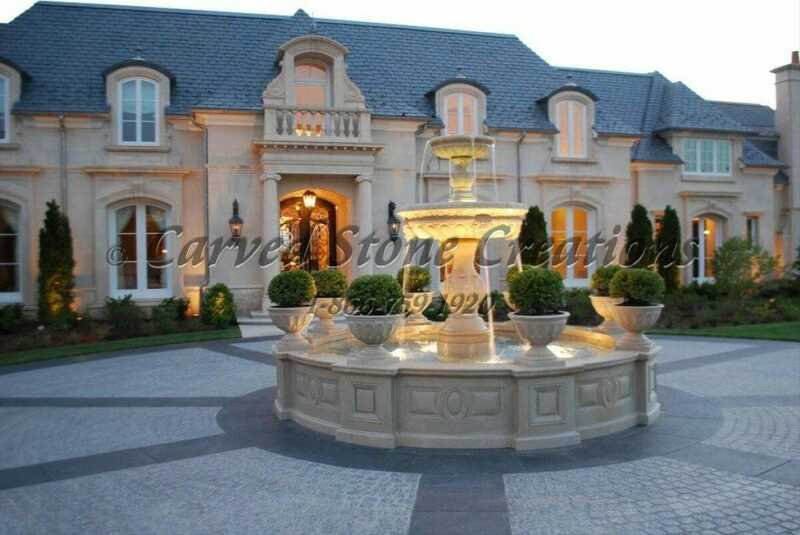 Here at Carved Stone Creations, we take great pride in designing beautiful, regal granite fountains. Your water fountain design should be one that matches the architecture and beauty of your home and our experts will ensure that your fountain brings elegance and grace to your home. Granite fountains from Carved Stone Creations are never an eyesore; we ensure our products compliment the unique beauty and style of your home. 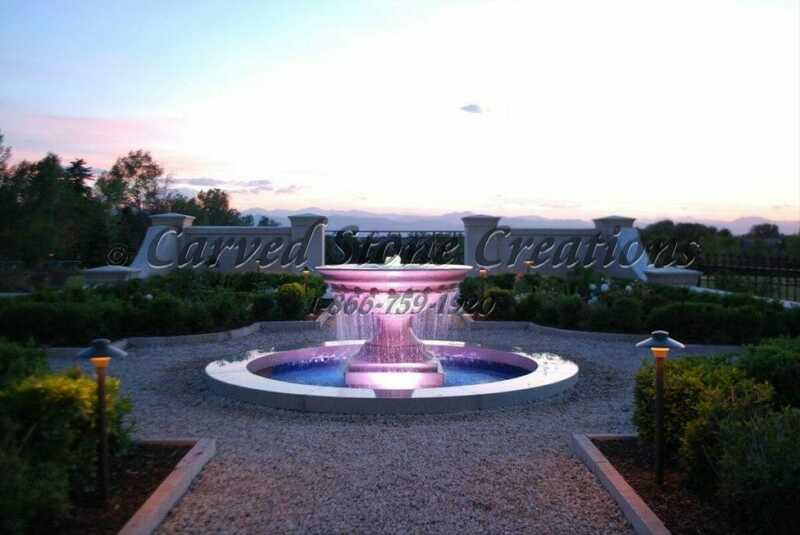 Contact us today to learn more or view our gallery of existing designs for fountains. We also custom design granite fountains to ensure it fits in perfectly with your homes current design and décor. See your fountain in your landscape before you purchase with our free fountain Photoshop presentation.